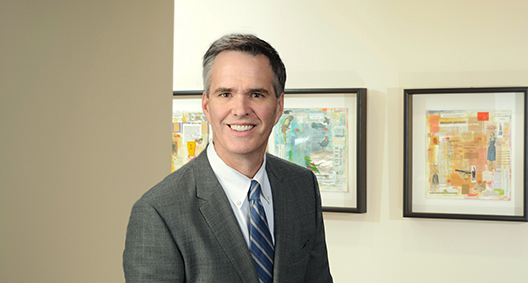 John Hutchins is a veteran trial and technology lawyer with broad experience encompassing complex commercial litigation and trial work, privacy and data security matters, and compliance and strategic counseling on technology matters and transactions. While his quarter-century of litigation experience runs the gamut in subject matter -- from software and eminent domain, to vintage race cars and death penalty habeas corpus -- he has particular experience in matters involving privacy and data security, technology, intellectual property, government procurement, restrictive covenants and breach of fiduciary duty. He has tried numerous cases to jury verdict in state and federal courts, as well as bench trials, arbitrations, administrative and other evidentiary proceedings. John's privacy and data security practice, in addition to litigation, also includes advising clients on compliance with state, federal, and international privacy and data security laws and guidance. He founded the privacy and data security practices at two previous law firms, dating back to 2005. Meanwhile, his transactional practice consists of a mix of complex technology transactions, including sourcing deals, hosted services arrangements, cloud computing, technology licensing, systems procurement and project implementation. John is a frequent speaker and is published widely on privacy, data security and technology law topics. He has been quoted by news outlets such as National Public Radio, the Atlanta Journal-Constitution, Forbes, ComputerWorld and Law360. Lead counsel in bringing more than $20 million in claims for breach of fiduciary duty against former company officer, and aiding and abetting breach by $2 billion investment fund for misappropriating client’s food product concepts. Defeated defendants’ dispositive motions based on Georgia Trade Secrets Act pre-emption. Lead counsel in bid protest action against State of Georgia on behalf of large technology vendor as incumbent, high bidder. Obtained permanent injunction forcing $20 million contract back out to bid, and preventing $2 million payment from state to successful bidder. Client awarded contract worth an estimated $40 million on re-bid. Lead counsel in obtaining summary judgment in federal suit over one of the largest recorded data breaches, defeating damages claims based on allegations of breach of contract, negligence and fraud. Lead trial counsel in successfully defending patent licensee against breach of license and patent infringement claims brought by publicly-traded licensor of healthcare field operations tracking technology. Lead counsel for major food products manufacturer in obtaining injunctive relief against former distributor for misappropriation of trade secrets and breach of non-competition agreement. Lead counsel for digital video signal processing equipment manufacturer in obtaining injunctive relief against former employee in action alleging misappropriation of trade secrets and breach of restrictive covenants. Lead counsel in successfully defending former employee of world’s leading automotive logistics, distribution and transportation services company against motion for preliminary injunction, arising out of alleged trade secret misappropriation and non-disclosure agreement. Motion for Injunctive Relief denied after oral argument. Lead counsel for immunization registry software manufacturer as plaintiff in obtaining injunctive relief against former employee in action alleging copyright infringement, breach of restrictive covenants, misappropriation of trade secrets, tortious interference with business relations and related claims. Lead counsel for defendant in trademark infringement action brought by Atlanta-based company against California-based landscape supply distribution company, involving claims of internet jurisdiction. Plaintiff dismissed case voluntarily after motion to dismiss filed on behalf of client. Counsel for plaintiff, a name brand ice cream retail chain, in suit alleging trademark infringement and unfair competition. Obtained Consent Order prohibiting further infringement. Counsel for multinational residential and commercial construction and real estate development services firm in suit alleging trademark infringement. Obtained Consent Order prohibiting further infringement. Successfully defended start-up competitor to world’s largest manufacturer of industrial pumps, in preliminary injunction proceeding seeking equitable relief arising out of alleged trade dress infringement and unfair competition. Counsel to various clients before the U.S. Patent and Trademark Office, Trademark Trial and Appeals Board, in actions challenging or defending trademark registrations. Representation of numerous clients in disputes over internet domain name ownership and trademark rights, including actions filed in ICANN arbitration proceedings under Internet Domain Name Dispute Resolution Policy. Lead counsel representing plaintiff in dispute over propriety of internet application and other goods and services provided by educational systems and customized assessment vendor to State of Georgia. Obtained $2.1 million settlement on behalf of client. Lead trial counsel for defendant in litigation filed by major software manufacturer and subsidiary against former employee. Defense verdict. Led trial team on behalf of industry-leading software vendor in arbitration over alleged system failure, including claims and counterclaims for breach of contract, breach of warranty, fraud and negligent misrepresentation. Obtained $1.2 million award on behalf of client. Lead trial counsel for publicly-held computer hardware manufacturer in federal lawsuit over alleged system failure, including claims and counterclaims for breach of contract, breach of warranties and fraud. Opposing party settled for nuisance value after client’s case presented at trial. Lead trial counsel representing healthcare information consulting division of Fortune 100 client as defendant in action alleging fraud and breach of contract. Plaintiff settled for nuisance value during trial. Lead trial counsel for defendant, direct-mail distributor, in litigation related to warranties arising out of the purchase and sale of large, direct-mail technology system. Limited jury verdict against client to half of plaintiff’s last settlement demand prior to trial. Lead counsel for multi-billion dollar global technology services provider lawsuit brought by major retail sports marketer alleging failure of SAP ERP software implementation, seeking in excess of $10 million in damages. Lead counsel for world's largest manufacturer and marketer of footwear in $12 million, multi-country dispute with SAP arising from failure of major retail and finance software system. Successfully moved to stay U.S. action pending resolution of Canadian action. Lead counsel in obtaining injunctive relief on behalf of technology investment partnership to halt the sale of audio-capture technology firm to company insiders. Lead trial counsel for one of the nation's largest publicly-traded REIT's in fraud action against former employee and general contractor arising out of bribery and kickback scheme. Obtained a $2.7 million verdict in client's favor. Lead counsel for Fortune 500 healthcare company as one of four winning bidders of $4 billion contract award for Medicaid and ‘PeachCare for Kids’ in successfully defeating bid protests of three losing bidders. Lead counsel in action overturning award of $145 million state contract for non-emergency transportation services. Trial counsel for plaintiffs in action for breach of contract and quantum meruit against Fortune 100 telecommunications company related to procurement of major contract with State of Georgia. Obtained $2.2 million jury verdict on behalf of client. Lead counsel representing Georgia-based technology services provider in state court suit brought by medical services provider arising out of loss of patient data. Lead counsel for national staffing software vendor in international arbitration brought by customer over loss of cloud-based customer data. Advised and directed brand name New York fashion retailer in data security assessment and creating Information Security Program. Advised one of the country’s largest electric utilities regarding the legal and regulatory requirements for data management, privacy and security as part of the development of a comprehensive Information Management Program, working with a “big four” consulting firm. Outside general privacy counsel for nation’s third-largest issuer of government-backed mortgages in developing Information Security Program in compliance with Gramm Leach Bliley Act Safeguards Rule, and Office of Thrift Supervision privacy and security rules. Advised various clients on data storage and privacy laws of various states including Massachusetts, New York, New Jersey, Connecticut and California in connection with collection and storage of personally identifiable information. Advised financial services organization with specialty financing programs for business customers in the home improvement, healthcare and retail industries on various state and federal privacy and consumer protection laws, including the Federal Trade Commission Act and California privacy laws. Lead counsel for technology vendor to hospitals, clinics, providers and healthcare organizations in remediation to information security program and compliance with HIPAA Privacy Rule and Security Rule in wake of data breach. Advised a leading provider of retirement, insurance and investment administration software on business associate agreements with a wide array of covered entities. Lead counsel in handling numerous claims asserted against email marketing firm arising out of highly publicized “100 site” data breach of hundreds of millions of customer records, among largest breaches on record at the time. Lead counsel in advising and representing employee benefits consulting vendor in connection with data breach of personally identifiable information of more than 200,000 employees. Advised one of the nation’s largest wholesale mortgage lending firms in connection with data breach notification under Office of Thrift Supervision. Lead outside counsel to Mississippi municipality in responding to ransomware attack and associated data breach. Lead outside counsel in advising client in connection with $8 million Oracle R12 implementation. Lead outside counsel representing Fortune 500 aftermarket auto parts retailer in connection with multi-million dollar information technology sourcing project. Lead outside counsel in advising one of the country's largest municipal-owned utilities in connection with $21 million BearingPoint implementation of customer care and billing software. Lead outside counsel in advising large western states utility in connection with multiple software transactions totaling more than $20 million. Lead negotiator in acquisition of $5 million enterprise-wide, multi-station/multi-channel traffic, accounting and yield management software solution for 47-station independent television company. Primary outside general counsel for industry-leading staffing software company. Regularly assist client in numerous negotiations for contracts ranging from 70 to 1,000 seats. Lead counsel for nuclear-industry government contractor in responding, as subcontractor to Northup Grumman, to U.S. Department of Homeland Security RFP for open source development project based in part on client's proprietary source code, previously developed as part of joint venture development contract for the U.S. Department of Defense. Counsel to client in acquiring license for application service provider software for loan origination, processing and call center management. Best Lawyers® 2017 Information Technology Law "Lawyer of the Year"
Georgia Trend Magazine, "Legal Elite"